Denver, CO’s PRIMITIVE MAN and Salem, OR’s HELL join forces for the years most crushing split release of death, sludge, and doom mastery. 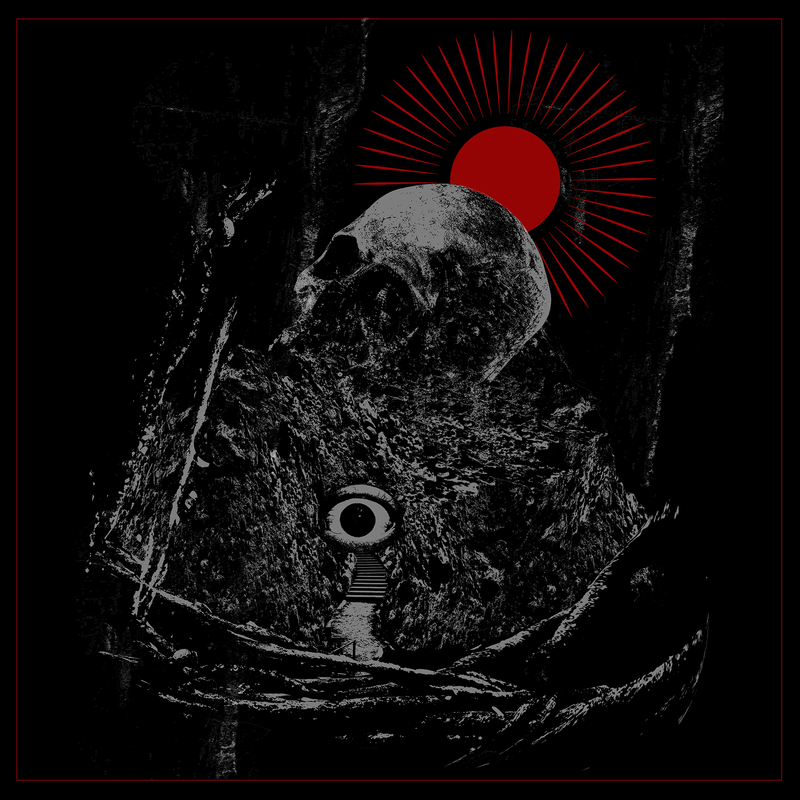 Two new songs from PRIMITIVE MAN and one new song from HELL delivering over 20 minutes of massive riffs, lurking black atmosphere, crippling and tormented voices, deathly sludge, and funeral groove. Featuring brand new artwork by Primitive Man frontman, Ethan McCarthy (Cool Ghoul). Pre-order is available now via Translation Loss Records for the limited vinyl pressing. There are two vinyl variants. Blood Red, which is limited to 200 copies and Clear with Heavy Blood Red Smoke with Heavy Black and Grey Splatter which is limited to 100 copies. Official release date is February 22, 2018.